Jessica Alexander arrived in Rwanda in the aftermath of the 1994 genocide as an idealistic intern, eager to contribute to the work of the international humanitarian aid community. But the world that she encountered in the field was dramatically different than anything she could have imagined. It was messy, chaotic, and difficult—but she was hooked. In this honest and irreverent memoir, she introduces readers to the realities of life as an aid worker. We watch as she manages a 24,000-person camp in Darfur, collects evidence for the Charles Taylor trial in Sierra Leone, and contributes to the massive aid effort to clean up a shattered Haiti. But we also see the alcohol-fueled parties and fleeting romances, the burnouts and self-doubt, and the struggle to do good in places that have long endured suffering. Tracing her personal journey from wide-eyed and naïve newcomer to hardened cynic and, ultimately, to hopeful but critical realist, Alexander transports readers to some of the most troubled locations around the world and shows us not only the seemingly impossible challenges, but also the moments of resilience and recovery. 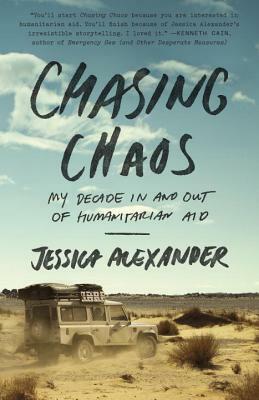 JESSICA ALEXANDER spent much of the last decade responding to humanitarian crises across the globe. A former Fulbright scholar, she has worked for various NGOs as well as UN agencies. She has a dual masters degree from Columbia and is currently working toward her PhD.